What did we learn? 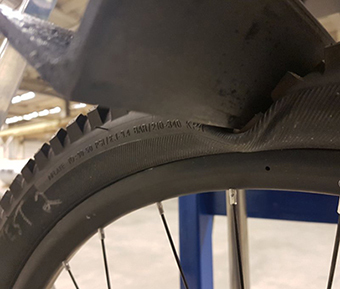 The mountain bike world has needed a product like Flat Tire Defender® for a long time. We’ve compiled our data, athlete’s feedback & lab results into one amazing product! 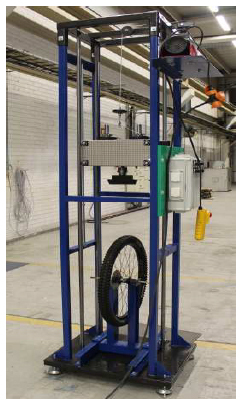 WHEEL ENERGY LABORATORY, NASTOLA, FINLAND – USING EXTREME TEST METHODS WITH STATE OF THE ART TEST DEVISES. 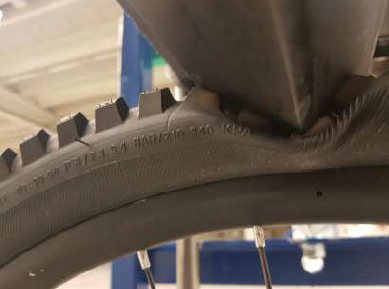 All tests using same type Alloy rim (28mm inner width), same type 27.5×2.50 tire, all 25 psi TLR with 4oz sealant. Using foam insert, requires slightly more effort to get out of the gate. 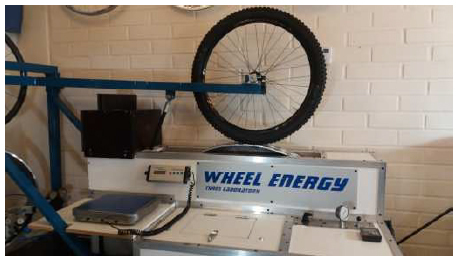 Once at speed the watts are hardly measurable. 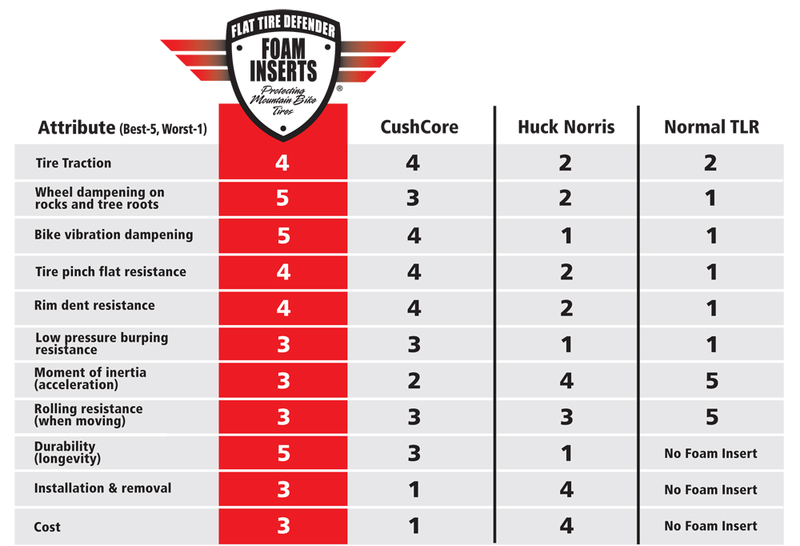 Coast down test proved the biggest benefit and mirrored our test rider comments “foam insert help carry momentum thru corners and over rough terrain”. Assembly without foam insert only managed two light hits before flatting. 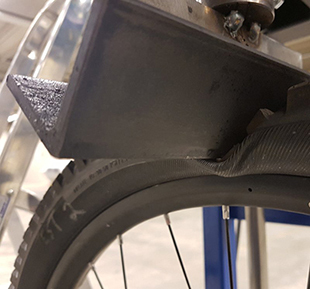 Assembly with foam insert took several hits at max height before losing air; allowing 20% higher impact force.